If you cook frequently, you have probably encountered the ingredient ginger. Often used in Asian cuisine, ginger is more than just a common cooking spice. It also has a vast history of herbal medicinal use. Over five thousand years ago, Chinese sailors used ginger to ward off seasickness and other ailments. There are also references to the medicinal benefits of the ginger herb in the Koran and in ancient Sanskrit texts. The herb found its way to ancient Rome, where it became a medical staple so popular that the government taxed it. At one point, a pound of ginger had the same value as a sheep. Today, the alternative health community has continued to use ginger as a healing aid for numerous purposes. It is most commonly used as a natural remedy for nausea and vomiting from motion sickness, and for morning sickness caused by pregnancy and nausea resulting from chemotherapy. Like many natural ingredients, ginger has many clinically proven medicinal properties beyond fighting nausea. In fact, it has over 40 pharmacological actions including antibacterial, antiviral, antioxidant, and anti-parasitic properties, and anti-inflammatory. Ginger root has historically been used for arthritis and rheumatism due to its action as a strong COX-2 inhibiting anti-inflammatory agent. In a study of patients with rheumatoid arthritis, osteoarthritis, and muscular discomfort, many of those who received ginger experienced varying degrees, of relief in their pain and swelling. None of the patients reported adverse effects during the period of ginger consumption for periods lasting between three months and two and a half years. Another double blind trial found ginger extract to be effective at relieving pain in people with osteoarthritis of the hip or knee. Likewise, in another double blind study, ginger was significantly more effective than a placebo in pain relief and overall improvement. And, in another study, ginger was found to be as effective as ibuprofen for menstrual cramp pain relief in women. These are the reasons you’ll find it used as an ingredient in both Jon Barron’s Essential Relief and Triple Jointed formulas. Ginger contains very potent anti-inflammatory compounds called gingerols. These substances explain why many of those with osteoarthritis or rheumatoid arthritis experience reductions in their pain levels and improvements in their mobility when they consume ginger anti-inflammatory medicine regularly. In two clinical studies involving patients who responded to conventional drugs and those who didn't, physicians found that 75% of arthritis patients and 100% of patients with muscular discomfort experienced relief of pain and/or swelling using gingerol based medicines. In addition to helping with pain relief, ginger also shows promise as a cancer fighter. Studies suggest that ginger may be helpful in managing prostate cancer. Another study suggests that ginger may even be able to promote the death of cancer cells. In addition, ginger has been shown to be effective as a treatment in managing skin, ovarian, colon and breast cancer. Research continues to delve deeper into these possibilities. The health benefits of this spice don’t stop there, either. It's been used as a healing agent for conditions including colic, diarrhea, clotting disorders, high cholesterol, heart conditions, and to treat colds and flu. Chinese studies have shown that ginger helps kill influenza viruses, and an Indian report shows that it increases a healthy immune system's ability to fight infection. And finally, in the Far East and India, ginger root is renowned for its aphrodisiac properties. With so many health benefits, you may not be surprised to learn that ginger makes an appearance as an ingredient in SIX of Jon Barron’s herbal formulas shown below! And luckily, it’s simple to include ginger into your regular diet by cooking with the root, using the powder, or as a tea. As a supplement, you can find it as an extract, tincture, capsule, and oil. For morning sickness, 250 mg of ginger 4 times daily is recommended. Note that ginger might lower blood sugar. As a result, if you take diabetes medications, they may need to be adjusted by your healthcare provider. WHICH IS MORE EFFECTIVE FOR MORNING SICKNESS; CINNAMON OR GINGER? DO YOU HAVE A PRODUCT OF YOUR RECOMMENDATION? After two years of an inflammatory condition causing severe itching of arms, face and neck - the cause for which could not be found - I abandoned conventional medication which was not working and adopted a regular regime of ginger and turmeric with black pepper. For about two months I have been taking 800 mg of ginger each day as well as a similar amount of turmeric. My condition has improved beyond recognition. 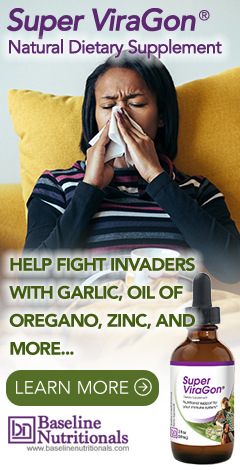 Although I still have a little itching, it is minimal and if I were to increase the dosage of ginger and turmeric it might well remove the problem completely. But ginger does have one potential unwanted side-effect which is why I have not increased my dosage: for those prone to kidney stones the oxalate which ginger contains could cause a problem and so this food should not be over-consumed by those people. But other than this caution, the combination of ginger and turmerica has proved a god-send.